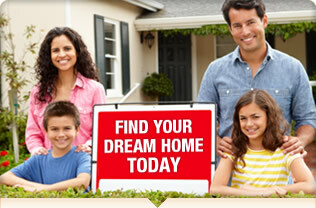 Federal Foreclosures | Find Federal Government Foreclosures NOW! Are you interested in federal foreclosures - those owned by government agencies such as the Veteran Affairs (VA), the Housing and Urban Development Department (HUD), the United States Department of Agriculture (USDA), Fannie Mae (FNMA), Freddie Mac (FHLMC) or the Federal Housing Administration (FHA)? If you so, you have come to the right place. When homes that are backed by government agencies such as FHA are foreclosed upon, they become government foreclosures. More often than not, these federal properties for sale can be purchased below market value - allowing for a high potential for savings (potential homebuyers) or earnings (investors). There are several advantages for purchasing federal government foreclosures with the best benefit often being the ability to purchase these properties at a discount. If you are able to find federal properties for sale for cheap, then you can increase your savings by investing in these bargain properties with a potential for a higher return on your investment. As mentioned above, federal foreclosures are properties that are owned by federal government agencies as a result of foreclosure. These federal government foreclosures can fall under the United States Department of Housing and Urban Development (HUD), which is over the Federal Housing Administration (FHA), or the Veteran Affairs (VA). For example, if the homeowner has a VA loan and loses the property to foreclosure, the VA acquires this property and the home becomes a federal foreclosure home. If you are interested in purchasing a government foreclosure, the process can be different than most bank owned foreclosures depending on the agency which is handling the foreclosure. The easiest method is to research federal foreclosures within a database that links with these government agencies. These properties have completed the foreclosure sale and are owned by that particular government agency. Another method for locating homes under federal foreclosure is to search through HUD foreclosure database. The most common way HUD sells their foreclosures is through a silent auction. You need to work through an approved agent to bid on these properties. These homes are often found in your typical online foreclosure listings and can often be purchased (like other foreclosed homes) below market value - making them discounted properties. If you are looking for foreclosure financing, then you are more than likely wondering if you have to use federal home loans to purchase federal foreclosures. The answer is no. All banks can house your mortgage for federal foreclosure properties. However, if you wish to obtain a loan from a federal financing bank - such as FHA - you may be able to obtain lower down payments and possibly better mortgage rates. For example, you may qualify for an FHA loan which requires an approximately 3.5% down payment in comparison to up to 20% for a conventional loan.